It only seems like weeks since we waved goodbye to the Dragons and yet here we are, already two episodes into the second half of the series. 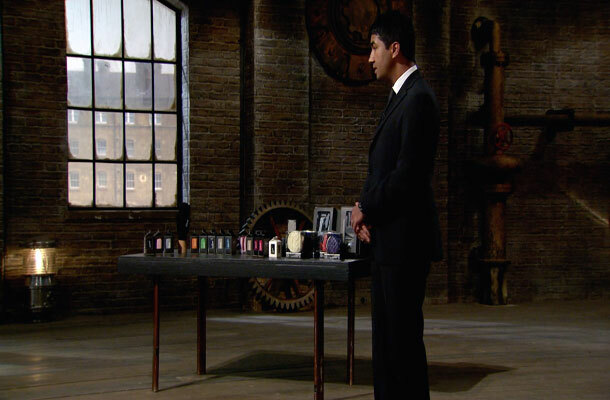 This week’s episode saw a mixed bag of inventions and concepts pass through the Den. Although, one theme that stood out for me was trade marks and the power of a brand. Rajan Jerath sparked an IP debate with the iGlove, a range of gloves designed to operate touch screen technology. Rajan was pitching for £75k in return for a 20% share of his business. If Apple want to stop you tomorrow from calling that the iGlove, it’s one lawyer’s letter and you’ve got no defence. The ‘i’ is for internet...they cannot challenge you if you have registered it. Trade marks are registered for particular areas of business (classes) and it is possible for similar marks to be registered in different classes. Take the word polo for example; the car, the mint, the aftershave. Three companies own the same word but for different areas of business. It is therefore advisable to search the trade marks database before submitting an application. You can check that your mark, or something similar, is not already registered, potentially saving you valuable funds and time. In spite of the trade mark discussion, Duncan was confident in the iGlove and shook hands with Rajan. Duncan offered the full amount for 40% of the business, lowering his stake to 30% if they meet their targets. Another of the entrepreneurs who got me thinking about brands was Kelly and James George. The couple were hoping to secure a £25k investment from the Dragons for 20% of their Princess Parties franchise. 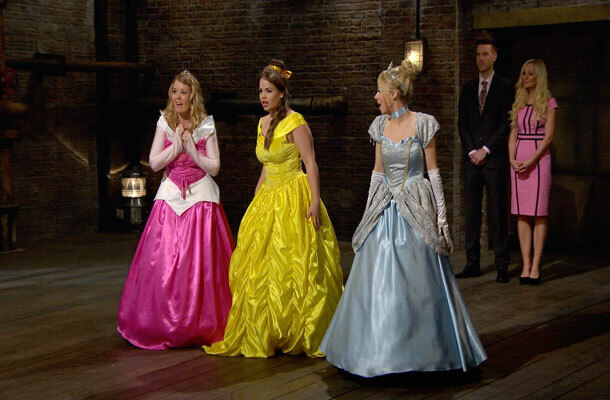 Have you ever been raided by Disney, because the yellow costume does look a bit like Belle? Princess Parties in the den. Disney is a well known brand and it is highly likely that the original Disney Princesses will be protected by several IP rights. This means there could be trade mark, copyright and design issues in using similar characters for commercial purposes. As mentioned in last week’s blog, infringing someone else’s IP could be disastrous for you and your business. If you are in doubt whether or not to use someone else’s work, you should contact the owner for permission or seek legal advice. Unfortunately, Kelly and James didn’t get the fairytale ending they were hoping for. With an all too familiar concept, none of the Dragons chose to invest and the couple left the Den empty handed. Last to face the Dragons were mother and daughter, Angela and Jessica McLean. They were pitching for £100k for 25% of their business, Baggers Originals. They sell a range of waterproof clothing for children which folds up into its own bag, making it easy to carry. Baggers originals have registered designs on the garments and on the pocket, which transforms into a bag. They also have a registered trade mark. They’ve been able to establish the brand extremely quickly, because the product is fantastic and it sells. A trade mark helps to distinguish goods and services from that of your competitors and helps to build a brand. A well recognised brand can often influence the customer to choose their product or service over a similar, less established brand. Seeing the potential, Peter and Deborah each offered £50k for 15% of the business and Angela and Jessica bagged themselves a great deal. Well done to the entrepreneurs in this week’s episode, especially those who secured investment. If you want to find out more about trade marks or any other form of IP, our business pages can help you understand and make the most of your IP. I think they're going to run into a problem with the name if this story is true.